Unroll dough on cookie sheet. Press into 13x8-inch rectangle; if using crescent rolls, firmly press perforations to seal. 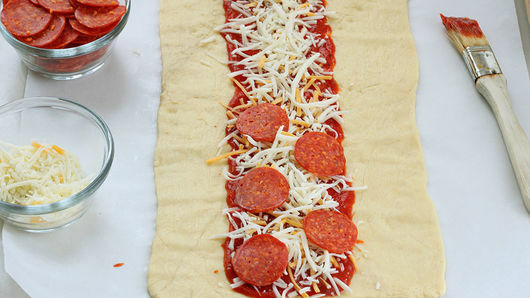 Spread pizza sauce in 3 1/2-inch-wide strip lengthwise down center of dough all the way to ends. 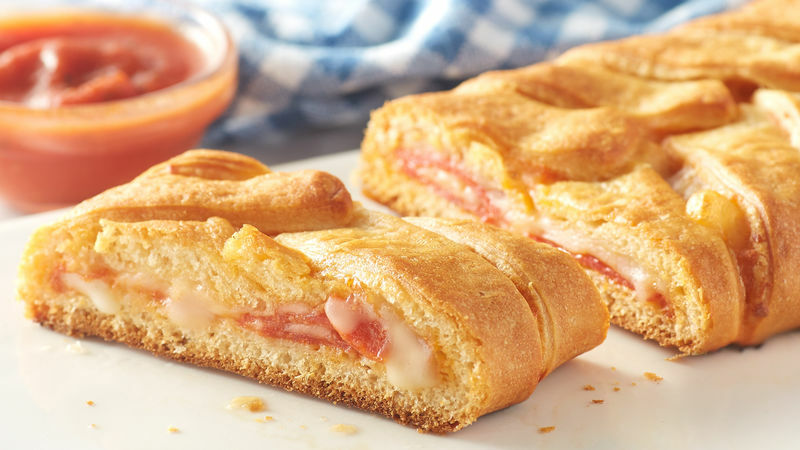 Layer half the pepperoni slices and cheese over sauce; repeat. Make cuts 1 inch apart on each side of rectangle just to edge of filling. Alternating from side to side, fold cut strips of dough at an angle halfway across filling, slightly overlapping ends. Bake 16 to 20 minutes or until deep golden brown. Serve with additional pizza sauce, if desired. For additional cheesy flavor, sprinkle top of crescent dough with 2 tablespoons grated Parmesan cheese before baking. No pizza sauce? Use marinara sauce instead. 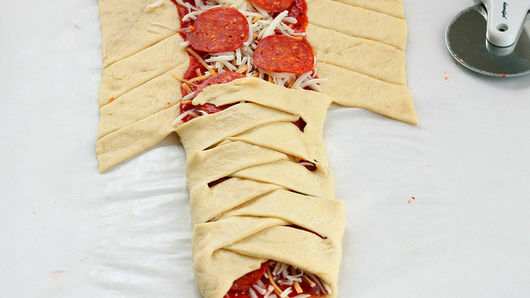 Love this creative take on pizza? We have so many more for you to try next, like pizza casseroles and even pizza waffles! If you want to brush up on how to make classic pizza, read this article for all of the essential information on pizza that you need.